Welcome to France Hotel Booking! Use the search box or choose a region from the list below to explore our list of France hotels. Enjoy! As a general rule, the star rating system in France is very accurate, however there are some very charming 2- and 3-star hotels throughout France that choose not to be, or can’t be, rated 4-star or above. The reasons vary from the types of amenities on a property to not wanting to pay the taxes and fees that can accompany a higher rating. This site acts as a resource to give you hotel ideas for your trip to France. When you find a hotel you like, simply click the red “Book the Paris Hotel….” link on every hotel page, or use the search box which is also included on every page. France Hotel Booking is powered by LinkParis.com. 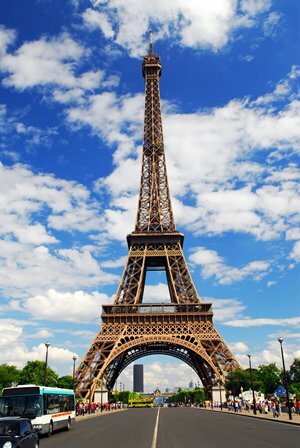 The day trips from Paris and Paris tours company! Visit LinkParis’s new Italy site ItalyM.com.